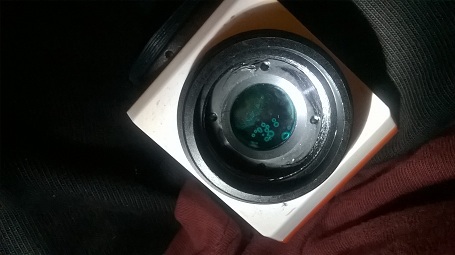 An optical acrylic lens element in the prism of my Lunt solar scope developed mineral deposits in storage. I removed the prism. Remove the prism by loosening the set screws. Then unscrew the tube. You can see the fogged element inside. Remove the retaining ring with a spanner wrench. For lack of better tools in Bryce Canyon National Park, we used needle nose pliers. 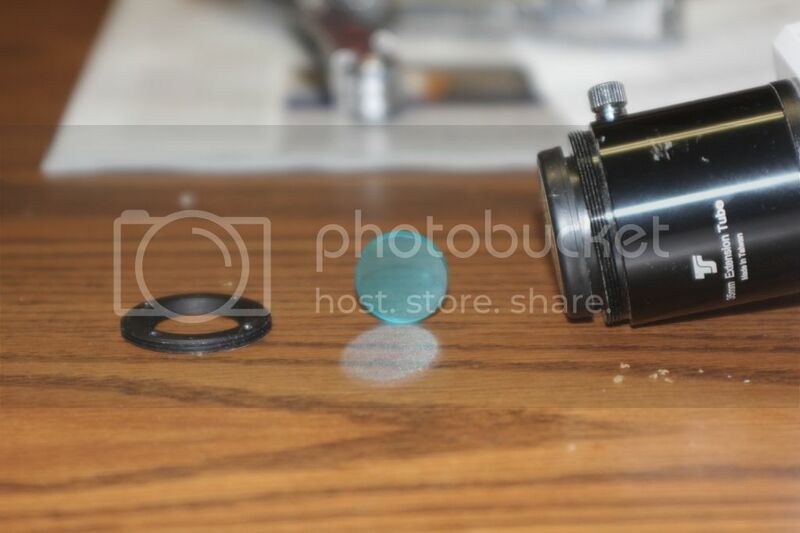 Photo shows the removed lens element. 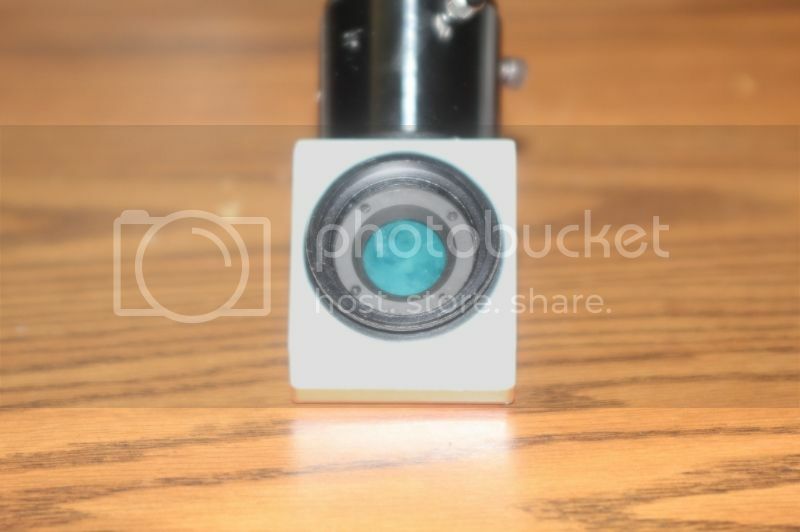 Until we removed it, I thought the element was a multi-element lens fogged internally. After removal, I saw a single element, which was coated on both sides with mineral deposits. Washing did not remove the deposits completely. 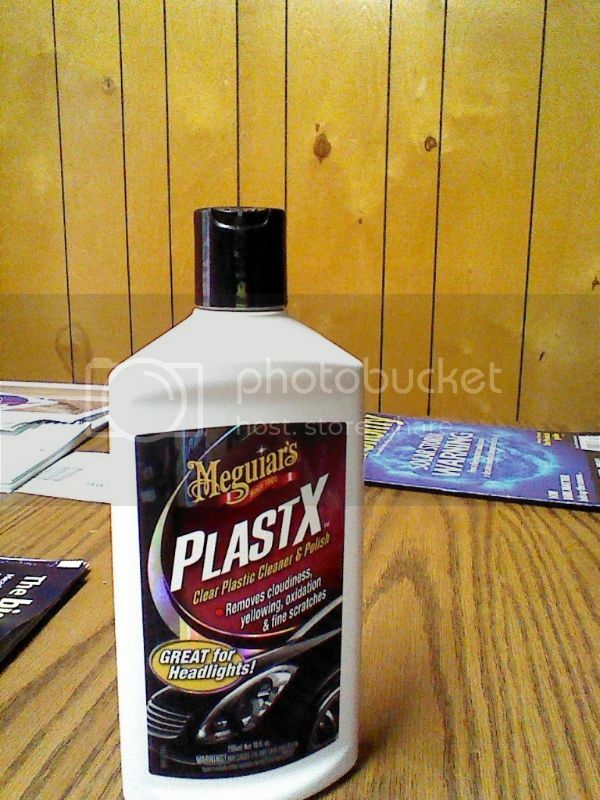 After searching the WWW for polishing compounds for optical acrylic plastic, I found three recommended compounds: Meguiar's PlastX, Novus plastic clean and shine, and Brasso. We drove 80 miles to the nearest city, Cedar City, because Meguiar's is sold in Walmarts. 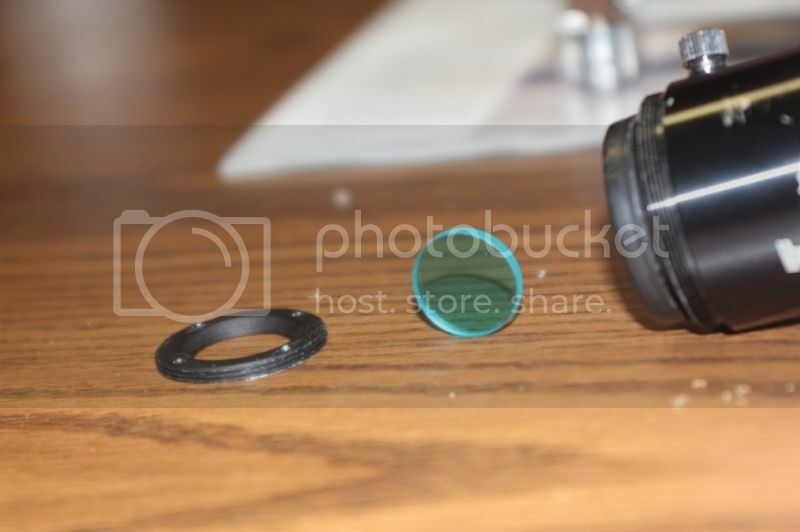 I polished the lens element (or filter) with the Meguiar's using cotton underwear. The results were amazing. Views through my solar scope are as good as they have ever been. Good work! Many would be rather too trepidatious. I once experimemterd making acrylic lenses, I polished them with plasticene laps and rouge, the finish was brilliantly clear. Is this the same issue as the "rusting"? Seems like a very simple solution for a worrisome problem. This is something that neither I nor Cloudy Nights would recommend. You're dealing with something that could cause permanent eye damage. If it looks bad, send it back to the manufacturer. I am sorry to see you are having this issue. We have come across it on a few blocking filters. Sometimes there is a film that develops on this piece of glass. There is no degrading of the filter. There are no coatings on this piece. You can feel free to either clean the glass as you have seen here or contact Lunt Solar and we can send you a new piece. I hadn't considered the element could have been coated, or glass. I would have backed off if I had seen any optical change, but I agree I should have contacted Lunt before proceeding as I did. You get used to doing your own repairs in park isolation. Since my problem is fixed, I won't request replacement of the blocking filter. Thanks Rikki and Richard for your feedback. How can simply removing the damage or "film" be an acceptable repair? 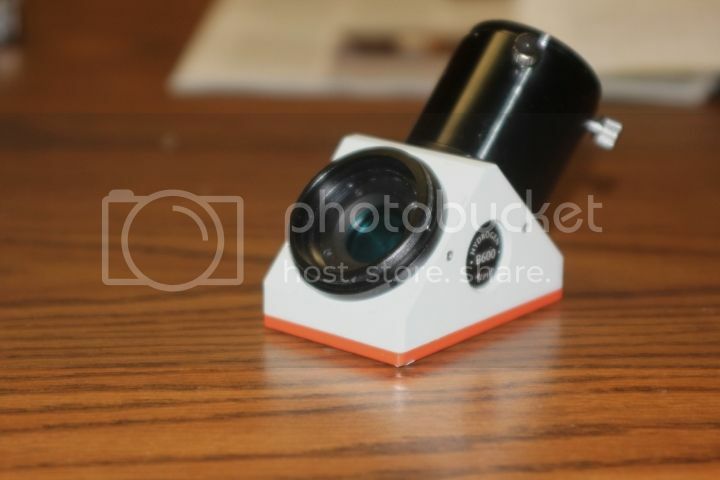 What is this "film" composed of if the part is not coated? Where exactly did all these "mineral deposits" come from and why don't they affect any other internal lenses in the telescope? We do not use ITF's in our systems anymore. The poster image you have is very old. This is BG glass. There are no coatings on it. The glass itself is the filter. We have not had any film on any other element. 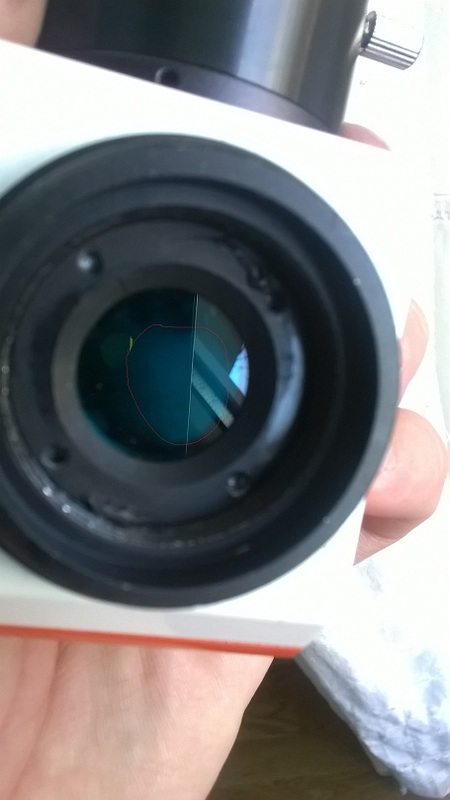 Makes sense with the use of a hot-mirror ERF coating with the front filters or on the collimator lens of an internal etalon scope. hi. the same problems for me. now i will try the magic formula with PlastX lets see if it works. in the first picture you can see the initial condition of the filter (bought sh). In the second one the condition after the first cleaning attempt. not clear yet. now i just read this thread and i will apply the same method, hope it will works. right now i am in Europe so sending back to Lunt is not an option. anyway i did not receive many support from them, i have to mention here. so if i understand correctly the filter has no coatings, the glass himself makes the job, this is the Induced Transmission Filter yes? did i understand correctly? i just received a Coronado PST two days ago. 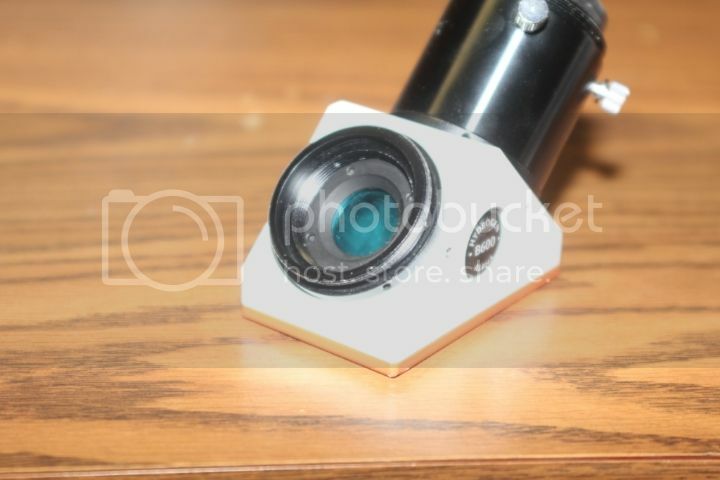 unfortunately if i put some direct lights on the coatings i can see some cloudy changes on the front lens interior side. i wonder if i can apply the PlastX on this surface to? Happy New Year to everyone here on CN. Unfortunately, it never occurred to me that there was a problem with this filter until after I sold it. 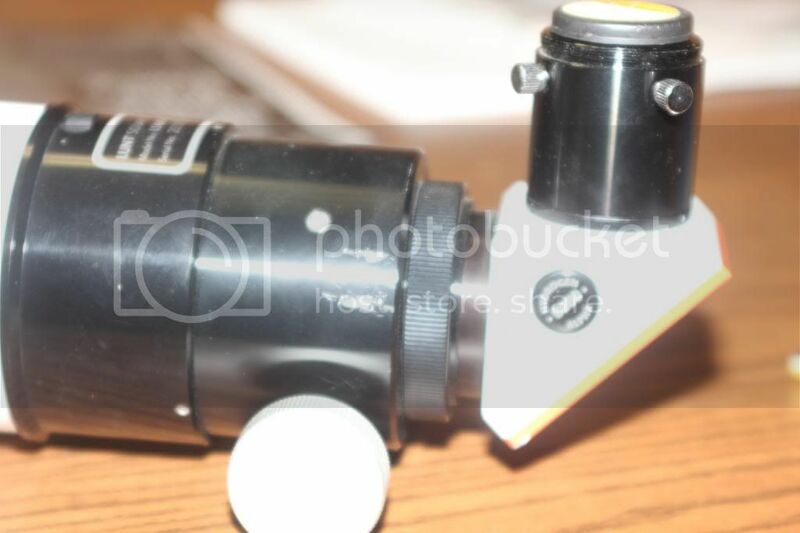 I spoke with Faye from Lunt, and she will send my purchaser a new lens and instructions on how to replace it. I thought that I wasn't using the scope right or that I needed a much more expensive scope to see the kind of detail I've heard about. Oh well... Lunt provides great customer service, I just wish I had figured it out earlier since I may not have sold it then! Sorry guys, I have to lock this thread. We have very strict rules on the discussion of modification (or even fixing) of solar telescopes. Per the TOS ..
CN will not allow posts dealing with the modification of commercial equipment intended for solar astronomy (or images taken with such equipment) or the modification of other potentially harmful devices (e.g. laser pointers). While the results of modifications may seem attractive, the possible adverse consequences are deemed significant. Any posts dealing with these types of modifications, or linking to sites which feature them, may be removed by the moderator. I know the thread has been up a while so I'll leave it here until the mods have had a chance to discuss it.